GRMCCF is an informal group of Christian health professionals, primarily physicians, who gather periodically for fellowship, teaching, and prayer. We seek to encourage Christian healthcare professionals in their personal faith, assist them in becoming mentors to students, and highlight opportunities to engage in medical missions at home and abroad. Started in the 1970s when Dr. Morehouse was asked by students at URMC to be the faculty advisor to their informal Christian group, our Fellowship has grown beyond the Medical Center to involve over 150 practicing providers in the Greater Rochester area. 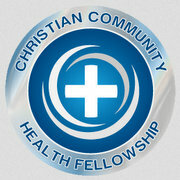 Although we are affiliated with both the Christian Medical and Dental Association (CMDA) and Christian Community Health Fellowship (CCHF), participation is open to any who consider their personal commitment to Christ to be a central, defining part of who they are, regardless of denominational affiliation. There are no membership dues or obligations; we just come as we are and contribute to each event as we’re able. Spouses and invited guests are always welcome. Click here to sign up for regular announcements and be listed in our Directory.